Order Your Copy of the New Edition Today! Got 75 seconds? 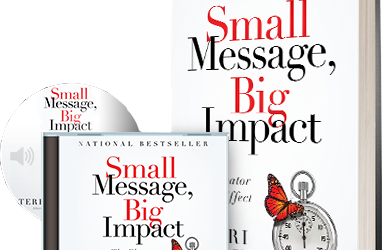 Check out the Small Message, Big Impact Book Trailer and see what all the buzz is about! Click on the arrow in the box to watch it now. Audio program includes 4 audio CD discs and 1 data disc with downloadable forms. Download the new edition on your favorite eReader including Kindle, Nook and iPad. 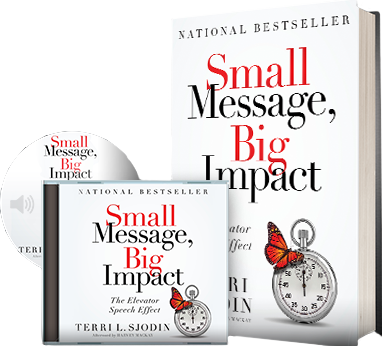 Terri L. Sjodin’s national bestselling book, Small Message, Big Impact: The Elevator Speech Effect, provides an entertaining, straightforward, and practical how-to guide on effectively communicating your critical message in a short period of time. 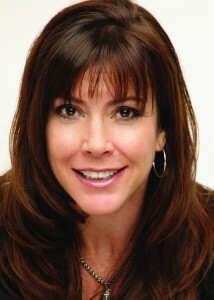 She gives readers an inspiring new perspective on the power of what she calls the “Elevator Speech Effect” and shows them how to employ this amazing little tool to create influence in today’s market. Perhaps you want to sell a product or service, promote an idea, a project, or a concept. Maybe you are looking to create a more compelling message that will help you access challenging decision makers. 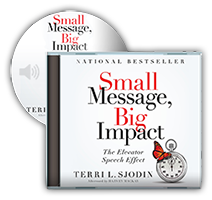 Whatever your purpose — be it professional, academic, political, philanthropic, or personal — you can learn to craft a fresh, brief, and persuasive message that generates tangible results! How to incorporate new creative illustrations and bring your message to life. How to speak in your own authentic voice — it’s not only what you say, it’s how you say it. 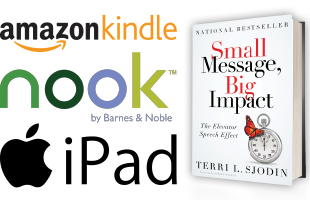 This book provides the reader with a complete sample elevator speech, outlines to help you craft your next talk, worksheets, evaluation forms… and much more! This new edition also includes updates and a special Afterword written by Harvey Mackay, seven-time New York Times best-selling author, including the number one Swim with the Sharks Without Being Eaten Alive.